Making a savoury bread pudding is a great way to use up bread before it goes too stale to do anything else with. 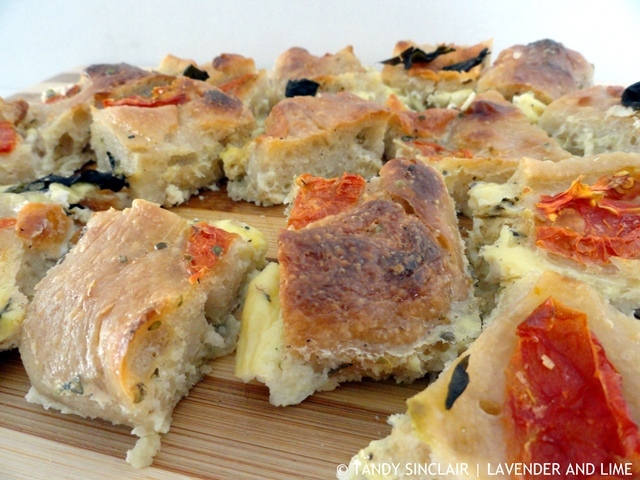 Here I have used focaccia but you can use any bread. The more flavour it has to start, the better it will taste after baking. I recently came across a company that offers ready pressed juices and smoothies. They are not cheap but the convenience to me is worth it. My intention was to purchase 10 bottles and leave them in the freezer for very hot days. Or for the days that I travel to see customers. I contacted them directly and was most shocked that their pricing to the consumer was more than what I was paying from one of their stockists. I decided that I would rather support the local business and let the owner of the company know this. She seemed totally unfazed by her pricing. Now, I know that everyone has to make money and that is the point of business. But I gather she is selling to the stockist at a profit. And I know that he collects from her so she has no added expenses. It just did not make sense to me that she would charge more than companies she supplies to. I loved having the frozen juices for hot days and decided to make a batch for myself. Now all I have to do is take them out of the freezer at home and bring them to work. Much easier said than done! As you will have noticed, I made a whole batch of focaccia’s as well. I was experimenting with the recipe and wanted to make a savoury bread pudding. My friend thought this was odd until I brought one to her house to go with the soups she was making. The bread was devoured, even though it was slightly undercooked. This to me is the best of eggy bread and a good use of focaccia that otherwise would have gone stale. Have you tried a savoury bread pudding? This looks so delicious. I have just been craving carbs lately and I think this is the recipe I’ve been looking for. Total comfort food. Oh thanks – you’ve reminded me of a dish I used to make many years ago. It was basically a bread pudding, but with cheese and tomatoes and was very delicious. I must try it again! Hi Tandy, this is a very interesting recipe. I tried to post it to Facebook but it came up with a blank screen – that has never happened before – any ideas? It is a possibility Facebook was disconnected at the time? Thanks for sharing your wonderful experience! I love it and thanks for sharing step by step to quick learning. Basically, I always like to read health tips and food recipe. I am very happy to get food guide.